Black Pistol Single Holster & Pistol. 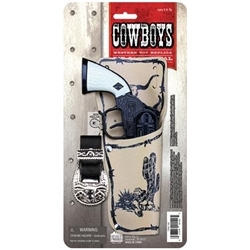 Decorated holster with belt. Full die-cast black repeater cap pistol. Length: 8.5" long.